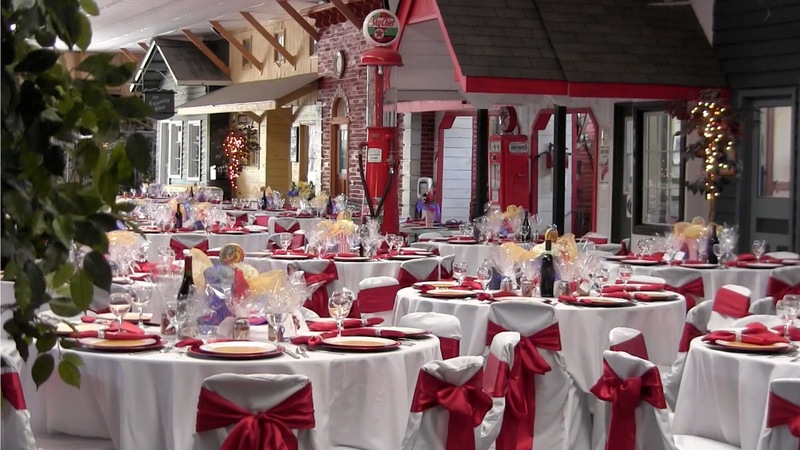 Farmtown Park, Stirling, Ontario, is proud to present Heritage Village, an 80′ by 200′ building, which is one of the most unique venues in Ontario for your special function. Heritage Village comes alive in the evening hours with the feel of a 1940s streetscape, complete with period lighting. The Chapel in Heritage Village is a very special church complete with working pump organ, stained glass windows, stone walls and authentic church pews. Heritage Village is a popular place for weddings. You can be married in the Chapel and have your reception in the Main Street. The Pioneer Room, at the main entrance to the Dairy Building, is 30′ long by 30 wide’, with seating for up to 60 people. The adjacent washrooms are fully accessible. The Pioneer Room is available year round for functions as it is heated. Please enquire at the office or call (613) 395-0015 or email info@agmuseum.ca to talk with Margaret Grotek to discuss dates and donations. Photo opportunities at Farmtown Park are available. Find out more at Hosting an event. See the list of caterers, photographers, florists and others who can make your celebration a great success.